Got plans for the New Year? Looking for an opportunity to party it up AND serve at the same time? 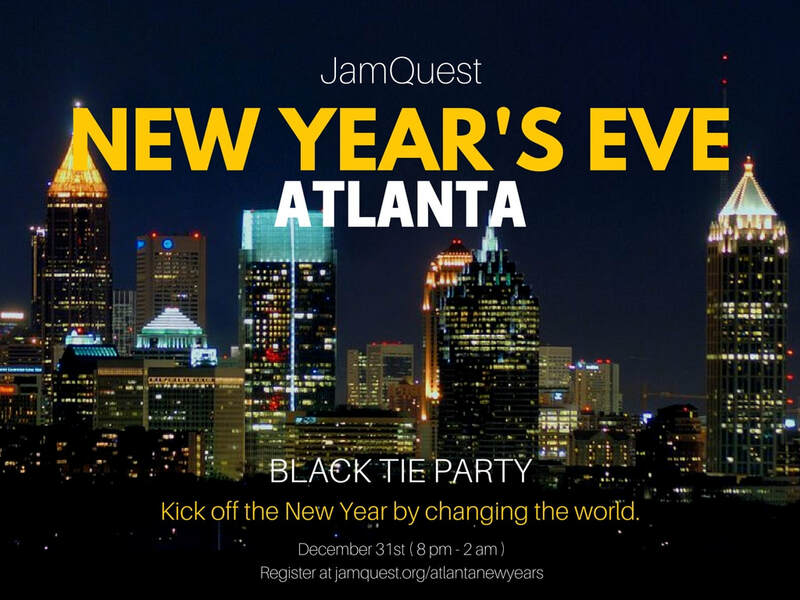 You are cordially invited to join JamQuest as we celebrate the new year by helping kids! We will be hosting a New Year's Eve Black Tie Party in Atlanta, GA for college students and young professionals! All proceeds will be going to our JamQuest programs. Come party with us! Register below. If you have any questions, please contact Nick Shoff at nick.shoff@jamquest.org.